Long and short terms available. From as little as £30.00 p/w. Call Machines2clean for more information. Specialising in the sales, service, hire and repair of Industrial Cleaning Machines in Scotland & throughout the UK, our extensive range of new & second hand cleaning equipment includes floorcare & floor maintenance machines, industrial vacuum cleaner. Using our expertise we will ensure you find exactly the right cleaning machines for all your requirements. We also stock a full range of machine spare parts, tools & accessories for almost every type of cleaning machine. 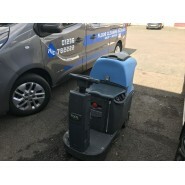 We specialise in the sales, service, hire and repair of Industrial Cleaning Machines throughout Scotland, our extensive range of cleaning equipment includes floor care and floor maintenance machines, industrial vacuum cleaners, floor scrubber dryers, sweepers, floor polishers, carpet and upholstery cleaning machines and tub vacuum cleaners. We also stock a full range of machine spare parts, tools and accessories for almost every type of cleaning machine. If you have any kind of floor cleaning problem we will do all we can to solve it. With over 20 years experience in the cleaning industry we have provided thousands of cleaning solutions for our customers saving them time, money and often improving their profitability. We can also provide short or long term machine hire and contract rental of all types of cleaning machines. 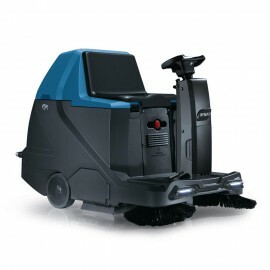 Genie E is 240V disc-rotating polypropelene brush pedestrian scrubber dryer. 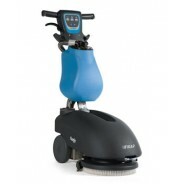 Genie scrubbing machine is ideal for cleaning floor interiors, small and cluttered spaces with a surface area of less than 1,000 sq.m., such as: offices, restaurants, bars, wellness centres, hair salons, boutiques, laundrettes, school classrooms, medical and dental clinics, veterinary clinics, chemist's, rest homes, theatres, kitchens, workshops, supermarkets, butcher's shops, train stations, subway stations, airports, homes, hotels, etc. It's the perfect scrubbing machine for cleaning small surfaces that are currently being cleaned manually. Genie is revolutionary because it automates manual cleaning systems, thus ensuring considerable savings for the user. Genie scrubbing model is available in both electrical (Genie E) and battery (Genie B) version, while the sweeping model, with its 2 cylindrical brushes, is available in the battery version alone. Equipped with 12V battery, charger and brush PPL 0.6 squeegee fitted as standard. SALES SERVICE OR HIRE - Scotland and throughout UK. With FSR Fimap presents a new way of designing the sweeping machine making it compact, versatile, eco-friendly and extremely productive with very low consumptions, also thanks to the production of the Hybrid version. The ride on FSR sweeping machine is available in two versions, the FSR B battery powered, suitable for cleaning areas up to 8,000 sq. m. and the FSR Hybrid, powered by a combination of a gasoline motor with batteries, suitable for cleaning floors up to 15,000 sq. 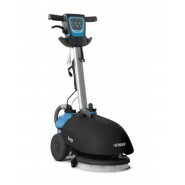 m. The Hybrid version offers 7.5 non-stop working hours and is ideal for cleaning indoor and outdoor areas: the gasoline motor can be used for outdoor cleaning while the quietness and emission free power of the electrical motor is perfect for indoor cleaning. The battery version (FSR B) is able to work for 4 non-stop hours with only one energy charge and its outstanding quietness makes it suitable for indoor cleaning giving excellent results also on carpet floors.